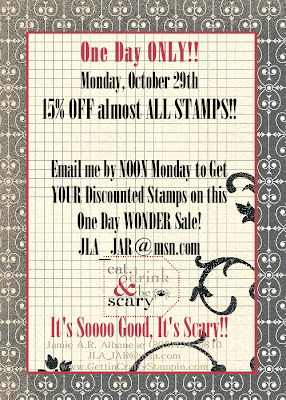 Getting Crafty with Jamie: 15% OFF STAMPS... 1 Day ONLY!! 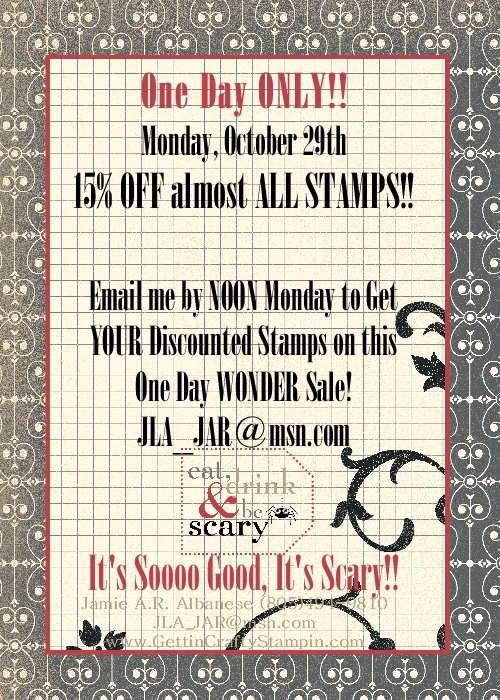 15% OFF STAMPS... 1 Day ONLY!! It's a Sale that is soooo Gooooood it's Scary!! Email ME by NOON on Monday, Oct. 29th to place an order or go onto my website by 11:50pm MT to place an order from the convenience of your home/office! There is no minimum purchase, and no limit to the number of stamps you can order! !